The Apple Mac book Air MJV Laptop is an exceptional device that is a thing of beauty and durability. Slim, light, and durable, the MacBook Air is the perfect companion for tackling everyday computing needs like emails, editing, entertainment, and web surfing. It offers optimum functionality in a slender shape and size. This laptop features a 13.3inch LED backlit glossy display with 1440 x 900 pixels resolution with a support for millions of colors. At its core is the incredible 1.4GHz Dual Core Intel Core i5 processor that delivers high performance while keeping the power consumption to a minimum. It enables all your apps run smoothly. 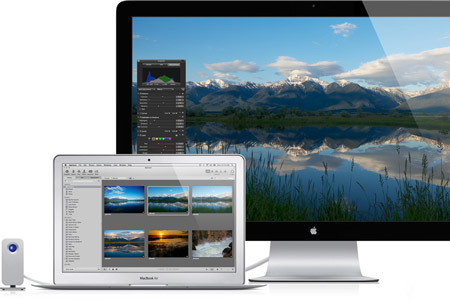 The OS X Yosemite operating system is intuitive and easy to use. It features a sophisticated design, includes improvements to the applications you use most, and enables your devices to work together in marvelous ways. The 4GB RAM adds to the super fast processing power of the laptop. With the, graphics intensive tasks and games run smoothly with any glitches. The MacBook Air boasts a powerful 54 watt hour Li Po battery that gives you enough juice to use this device extensively throughout the day. It comes with 256GB flash storage that makes it up to 9 times faster than traditional hard drives and lets you store a huge amount of files. The compact all flash storage in MacBook Air leaves much room for a large battery. Together with the power efficient Intel Core architecture, this battery can last for up to nine hours on a single charge. This means uninterrupted power for word processing, presentations, email, music, movies and more. 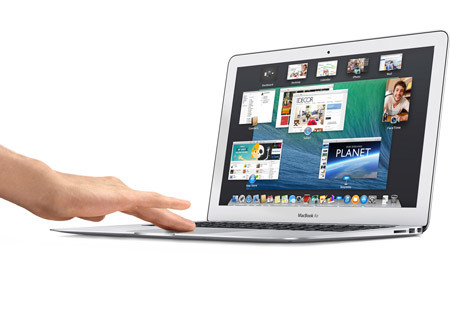 MacBook Air incorporates powerful Intel Core i5 processor that uses less power while delivering high performance. Its Intel HD Graphics 5000 GPU delivers graphics up to 40 percent faster, making the computer ideal for gaming and other tasks with high graphics requirements. This MacBook Air features lightning fast Thunderbolt port and two USB 3 ports that let you connect this computer to all the latest electronic devices with just a few connections. 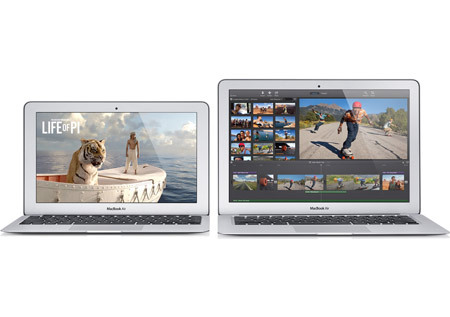 The MacBook Air's storage is designed entirely around flash storage. This not only makes the computer lighter, but also provides faster access to data. 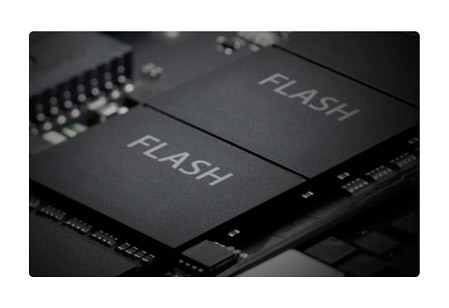 This 256GB next generation flash storage is much faster than a traditional notebook hard drive. 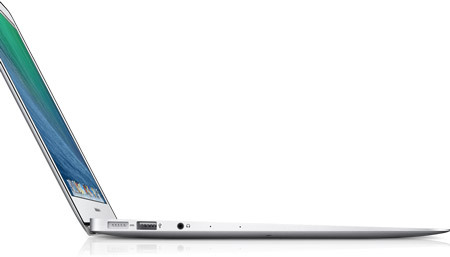 The 13.3 inch MacBook Air offers you a stunning resolution of 1440 x 900 pixels. Furthermore, the LED backlighting makes colors bright and vibrant. This feature is especially useful while editing photos, making presentation or even watching a movie. 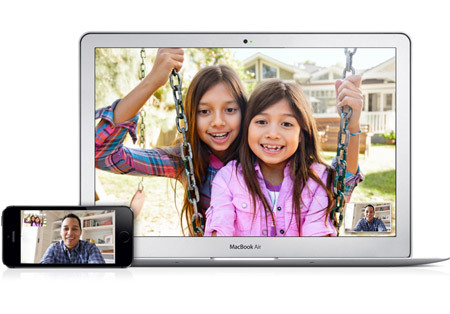 The 720p FaceTime HD camera on this MacBook Air captures bright images and videos and transmits them as is around the world. Its widescreen format lets you fit a whole lot more into the picture without having to crowd around the display. The Multi Touch trackpad on this computer makes everything you do appear more intuitive, direct, and fun. Gesture responses are smooth and realistic, making you feel like you're touching what you're seeing. Order the Apple MacBook Air​ today and have it delivered to your doorstep within 1-3 working days or same day delivery within Nairobi. Same-Day delivery in Mombasa on selected items. Pay on delivery via cash/Mpesa.